I don’t know about you, but we really love a great breakfast taco. Until now, there haven’t been very many options available around town. 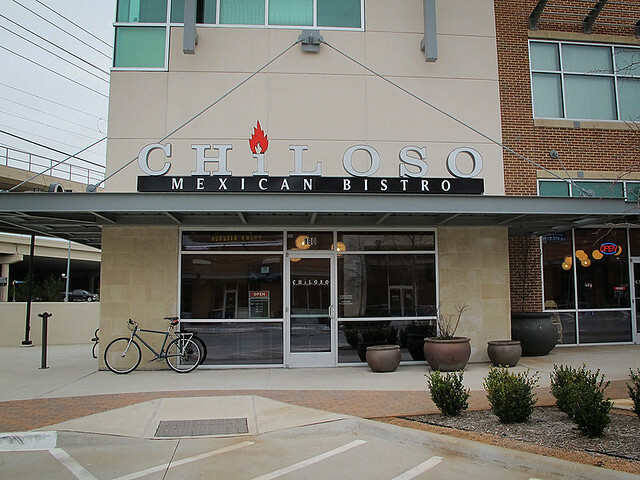 We’d like to introduce Bike Friendly Richardson’s newest partner, Chiloso Mexican Bistro. They are a build-your-own taco restaurant that specializes in “Austin-Style” breakfast tacos. But that’s not all they offer – check out their menu to see all their great options. I gave them a visit this morning and was completely impressed by the great flavor and freshness of their food. I’m even thinking about going back for lunch. I strongly suggest that you give them a try. Chiloso Mexican Bistro is the newest addition to Eastside with a friendly staff and great food. They are offering cyclists their student discount, which is 10% off your meal. Please, you must arrive on your bike and remind them that you are there for the Bike Friendly Richardson offer. This offer may change at the owner’s discretion. Do they have a bike rack? They have something that looks like a rack but it’s small and wouldn’t accommodate too many bikes. Unfortunately, being tenants in the Eastside center, this becomes an issue with the property owners. We’ll need to talk to them next. Well, a fence or something similar works too, but it’s surprising how many businesses and their landlords don’t provide anything suitable to lock up to.